LONDON — Stock markets around the world posted solid gains Wednesday ahead of an expected interest rate hike from the U.S. Federal Reserve. More interest though will be on the statement accompanying the decision and the press conference of Fed Chair Jerome Powell. KEEPING SCORE: In Europe, Germany's DAX was up 0.7 percent at 10,813 while the CAC 40 in France rose 0.7 percent to 4,788. The FTSE 100 index of leading British shares was 1 percent higher at 6,769. U.S. stocks were poised to make solid gains with Dow futures and the broader S&P 500 futures up 0.6 percent. FED FOCUS: The Fed will likely hike its short-term interest rate — used as a benchmark for many consumer and business loans — by a modest quarter point to a range of 2.25 percent to 2.5 percent. The central bank has forecast three more hikes in 2019, but investors think Powell, who has faced criticism from President Donald Trump, may signal a slower path of increases next year. 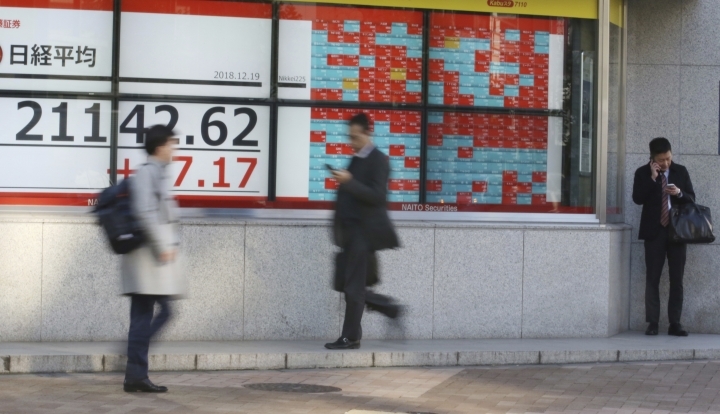 For stock markets, battered recently by a series of concerns notably related to mounting trade tensions between the U.S. and China, any such hint could help sentiment improve coming into the year's end. ANALYST TAKE: "A dovish hike is widely expected today and increases next year reduced to one or two, although I wonder whether they may hold off and surprise the markets," said Craig Erlam, senior market analyst at OANDA. "With the global economy facing lower growth in 2019, including the U.S., inflation in check and U.S. stocks in correction territory, it may not be the best time to be raising rates." ITALY: There was also some relief, particularly in Europe, that Italy had reached an agreement with the European Commission on its budget plans, which the EU's executive arm had warned could break the euro's rules and lead to legal action. European Commission Vice President Valdis Dombrovskis said that the "agreement is not ideal" but allows the Commission to avoid legal action against Italy — "provided that the measures are fully implemented." 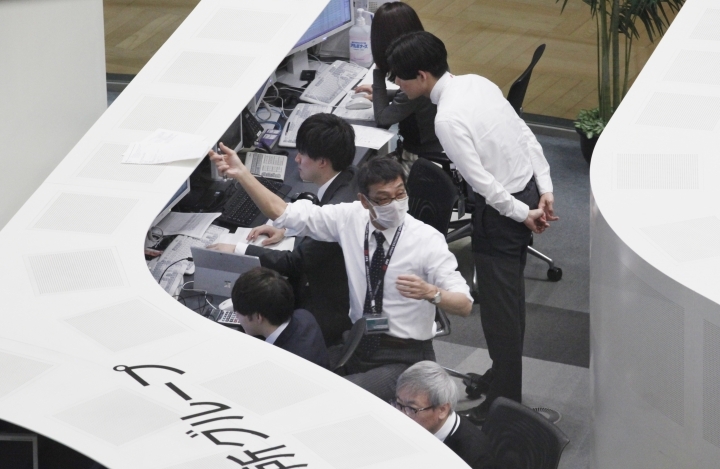 ASIA'S DAY: Japan's Nikkei 225 index fell 0.6 percent to 20,987.92 while South Korea's Kospi rose 0.8 percent to 2,078.84. 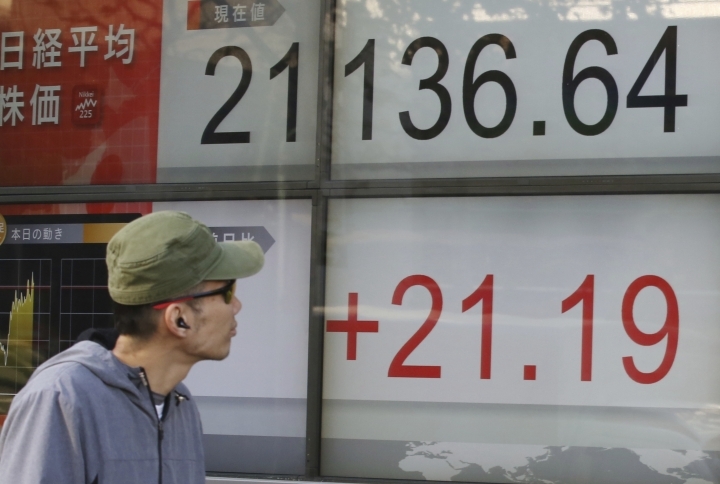 Hong Kong's Hang Seng was 0.2 percent higher at 25,865.39. The Shanghai Composite index shed 1.1 percent to 2,549.56. Australia's S&P ASX 200 gave up 0.2 percent to 5,580.60. ENERGY: Oil prices bounced back slightly after plunging on worries about rising supplies and weakening global growth, which could weigh on demand. Benchmark U.S. crude was up 24 cents at $46.48 a barrel in electronic trading on the New York Mercantile Exchange. The contract, which has fallen almost 40 percent since October, gave up $3.60 to $46.60 on Tuesday. Brent crude, used to price international oils, was up a cent at $56.27 a barrel. It lost $3.35 to $56.26 a barrel in London. CURRENCIES: The euro was up 0.3 percent at $1.14 while the dollar fell 0.2 percent to 112.38 yen.